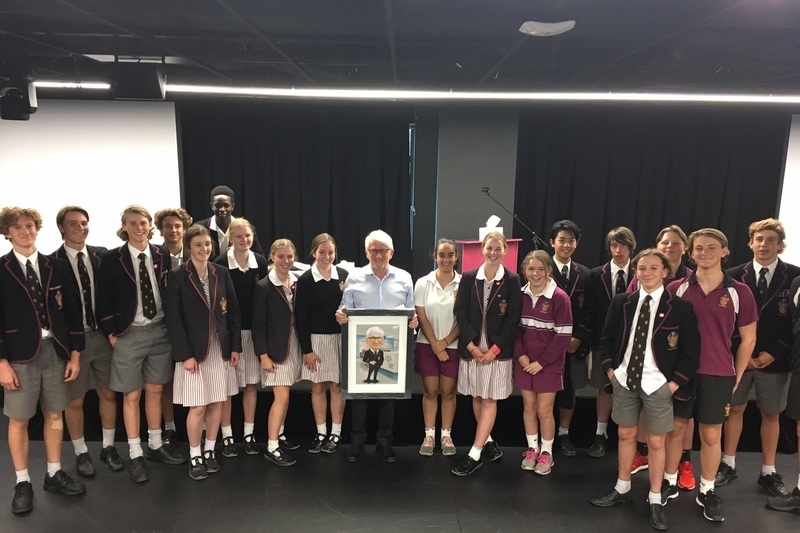 Professor Peter McDougall ('67) has spent the past five days commuting to Haileybury City to speak to our Year 9 students about his career in Health. Peter is recently retired from his role as Chief Medical Officer and Executive Director of Medical Services and Clinical Governance at the Royal Children's Hospital. Haileybury's year 9 students engage in a week long City Option which sees them leaning about a particular area of interest - Sport, Health, Inquiry etc. Peter was able to take students from each of Haileybury's Melbourne based campuses on a journey of his career and answer some fascinating questions over the five days. 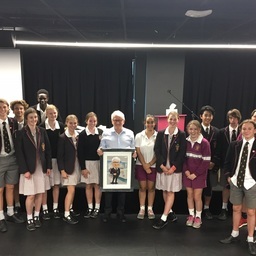 As a thank you to Peter, Haileybury students presented him with a cheque for the Royal Children's Hospital and a special caricature of Peter in a modern Haileybury uniform. Haileybury's newest Year 12 leaders had the wonderful opportunity to hear from Nicolette Kordos (2010) recently. Nicolette is the Director and Owner of active wear business, Nicky Kay. Nicolette shared her story and presented her ideas on leadership and some strategies for potential challenges the leaders may encounter. She also spoke very highly of the OHA and the benefits of having access to its networks. We love our alumni coming to visit our students and encourage those with a story to tell or an experience to share to approach the OHA office for future opportunities to deliver inspiring messages to our students.